Once upon a time, there was a farmer on the Swabian Alb, a mountain region in south-west Germany, who was enjoying farming but he felt that something was missing. One day, the farmer and his family had lentils, the regional “national dish”, for lunch. Suddenly he wondered why these lentils were not produced in his region or at least in Germany any longer, as this was usual all the centuries before. The lentils were rather imported from far away countries like China or Canada. What was going wrong? Curious, innovative and passionate as he was, the farmer re-started lentil growing on his own fields. In the following years, he managed to recover and to rescue two traditional local lentil varieties which survived in a gene bank in St. Petersburg and started to grow and to sell the seeds with good success. In the meanwhile, an organic producer association was founded, which has about 90 members today. The spark leaped over to conventional farmers in the region and all over the Land. The End. No! This is not yet the end. The renaissance of the lentil cultivation on the Swabian Alb might be a trend-setting success story and there is still a lot to investigate. Can a story like this happen again with other legumes, or in other European partner countries? Some features make lentil cultivation attractive for both, farmers and consumers. 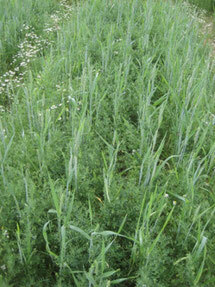 In addition, lentil cultivation is a benefit to the agroecosystem. They increase the diversity of crop species on farmland, reduce the use of nitrogen fertilizers because of symbiotic N2-fixation and increase the diversity of insects, birds and wild plants. Moreover, lentils taste excellent, contain valuable nutrients, and can be merchandized in very short supply chains. The lentils form the Swabian Alb even made it into Slow Food’s Ark of Taste (https://www.fondazioneslowfood.com/en/slow-food-presidia/swabian-alb-lentils/). Traditionally, and because of the specific climatic conditions of the country, lentils need a companion crop in Germany to avoid lodging. 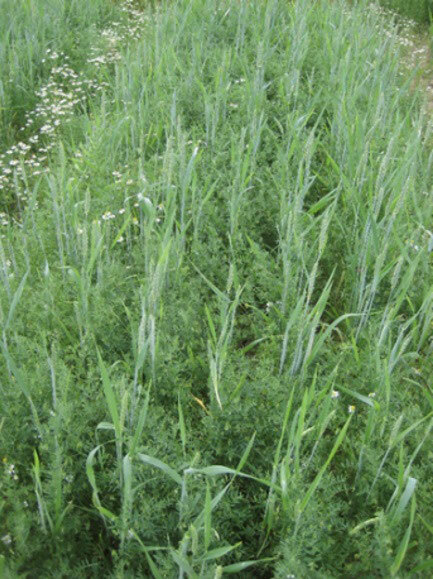 Cropping partners of lentils in mixed cropping systems such as camelina, oats or barley further increase diversity and contribute to maintenance of wildlife. The overall objective of the case study is to reveal and to identify agronomic factors for successful lentil growing which can help to stabilize, optimize and expand lentil cultivation in Europe. Semi-structured interviews with farmers which focus on personal motivation and obstacles during their decision process to start lentil growing, the present cultivation and about future developments. We visited 25 farmers in total and conducted 24 questionnaires and 10 interviews. Most of the farms were farming organically (20 organic, 5 conventional). The conventional participants market their lentils directly whereas almost all organic farmers are part of the producer association. Currently, we are compiling and analyzing the data. …and we wish that lentil cultivation in our region continues and grows happily ever after! Figure 1: Lentil farmer (left) and the farmer who reintroduced the lentils (right). Figure 3: Map of Germany. 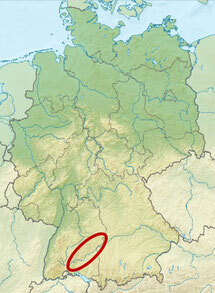 Red line is the region of the Swabian Alb.